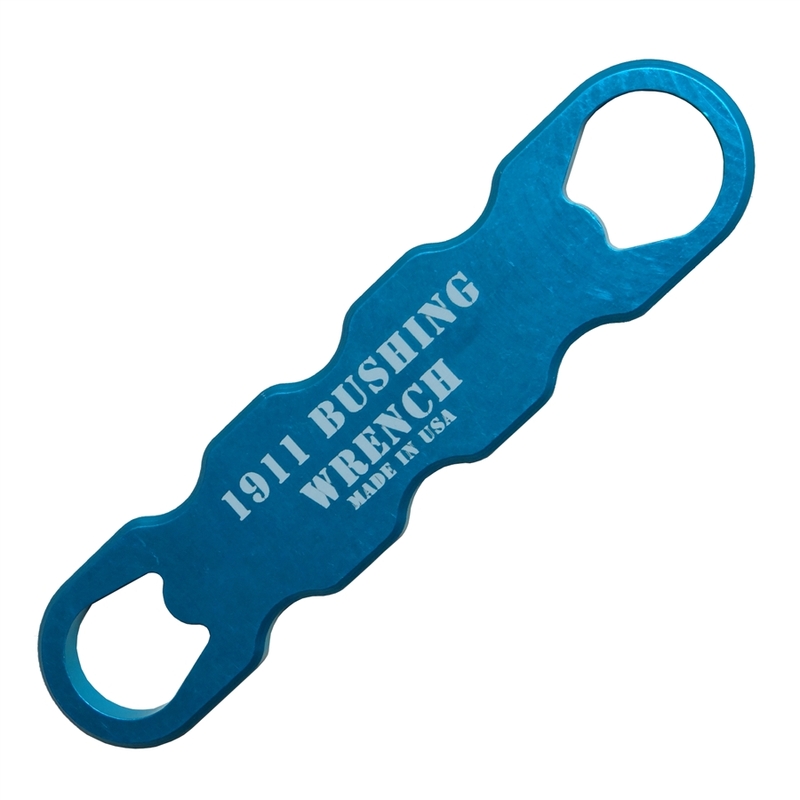 Precision machined and anodized blue aluminum barrel bushing wrench fits the 1911 45 auto style. Squirrel Daddy's barrel bushing wrench is stylish, durable and fits your hand comfortably. Our 1911 barrel bushing wrench is machined from aluminum barstock so it will be long lasting and reliable tool for daily gun maintenance.